Hello my friends! Hope all is well and that you have not forgotten me. Its been a while since my last post or rather since I last logged on to this site. And I’m deeply touched when a couple of you specially wrote to ask about me. I’ve been busy making some changes to the next stage of my career/life and will need to take another break from sharing my recipes after this till I’ve settled down in another city. 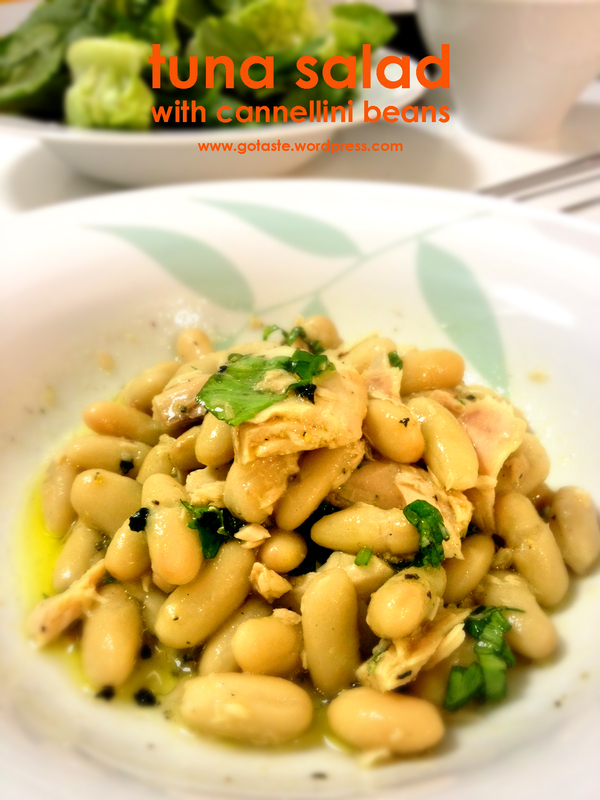 This is a really simple and flavorful dish to make. Heat up olive oil in a pan over medium heat and throw in garlic, chili, pepper and salt. When aroma fills the air, put in mussels follow by a glug of white wine. Once the alcohol evaporates, put in tomato sauce follow by fresh basil and cook for another minute or two. Serve immediately with crusty bread. Hope you will like it. Take care everyone. I’ll be back! I am surprised to miss out publishing this recipe that I make most often. 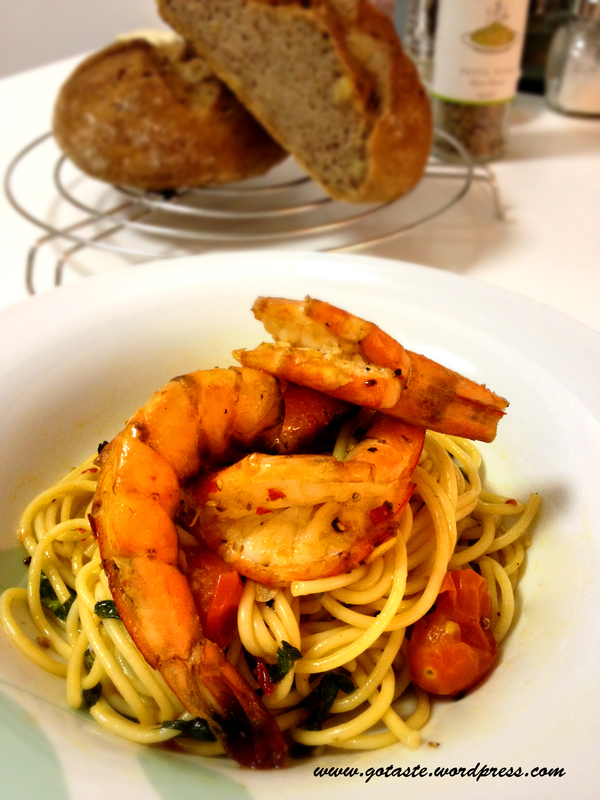 I just love the juice of the prawns clinging onto the pasta in every mouthful. 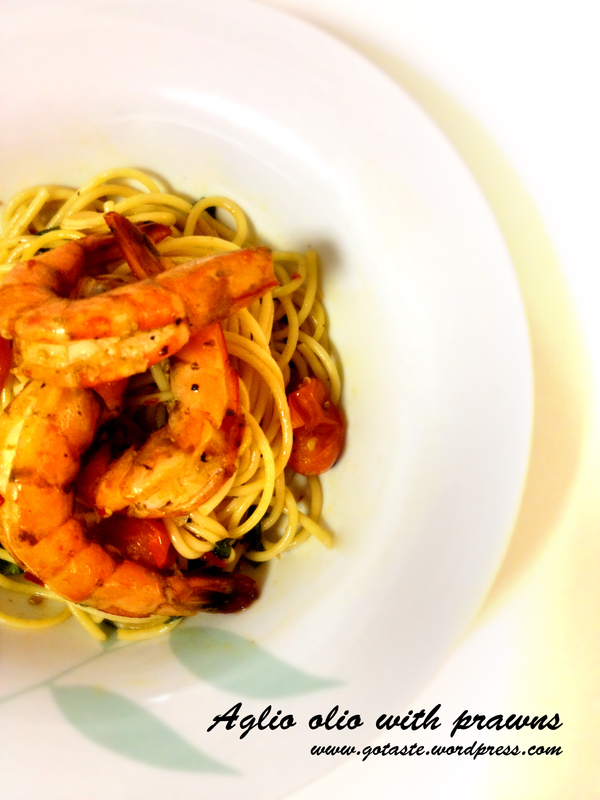 Heat up a good amount of olive oil over medium-high heat and fry prawns till cooked. Remove prawns from pan. Turn down the heat to medium and fry garlic and chili using the same oil. Put in tomatoes follow by salt and pepper. Once tomatoes are soften and the fragrance of garlic fill the air, pour in white wine and let the alcohol evaporates. Add sweet basil follow by some pasta water to thicken the sauce. Add pasta which is already cooked to al dente follow by the prawns and all the juice. Mix well and serve with parmigiano if desired. My profession in identifying and creating core emotions for tv promotion enables me to also connect up all the different emotions that leads me into cooking and baking. It all begins when I often walk out from a restaurant feeling dissatisfied along with ANGER for paying high bills for lousy food and bad service in this city. And most of the time, what disappoints me is the way good ingredients are being treated poorly. That is when the temptation and CURIOSITY of wondering if I can cook better food arouse my desire to take up the challenge and re-look at the function of my kitchen with a whole new perspective. After numerous failures that eventually leads to a few good attempts with some recipes, the feeling of SUCCESS encourage me to create more to share with friends and neighbours which increases HUMAN CONNECTIONS without even noticing it. The reward is enormous. Here’s a really simple recipe that makes me happy. Heat up olive oil in a pan. Season scallops with salt, pepper and coat lightly with flour. Fry scallops for 2 minutes on one side and another minute on the other side. Heat up olive oil in a pot with onions and garlic. The fragrance from the onion and garlic will infuse into the oil when heated up together. Add salt to avoid onions from burning. Sautee till onion turns translucent. Add black pepper, tomatoes and basil. Simmer for 30 mins. 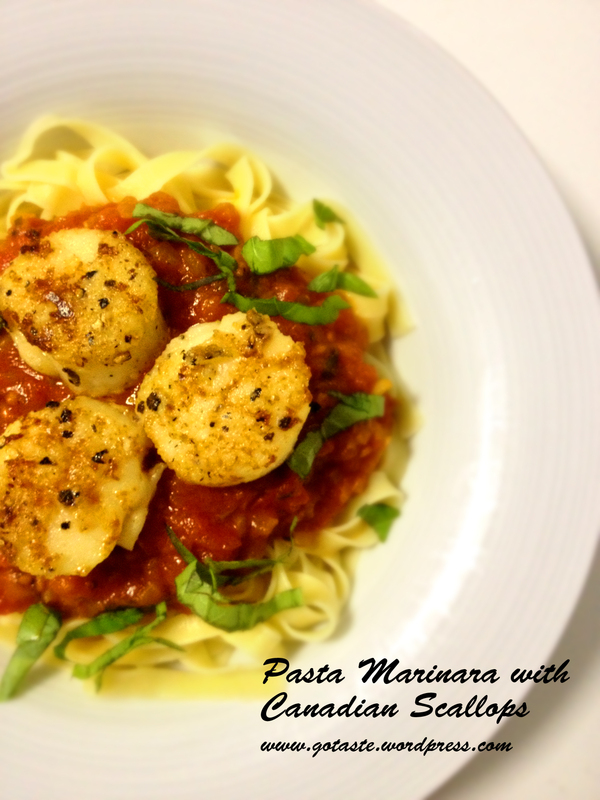 Serve with your favourite pasta and top it up with the gorgeous scallops. Now comes to baking. My FEAR of sending something into the oven and hoping it will come out good stays with me for many years ever since I failed terribly trying to bake a basic sponge cake. 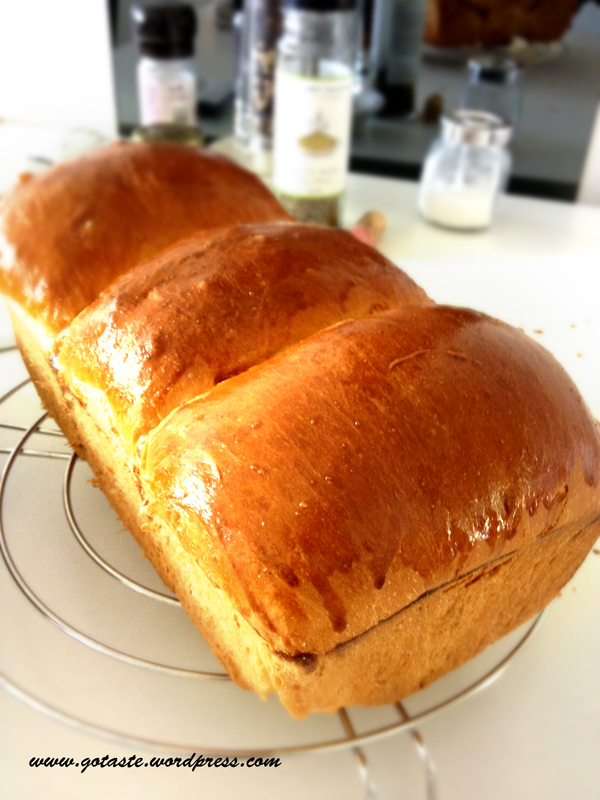 It was until early this year when Anto from relaxingcooking encouraged me to bake my first bread. It is a big emotion of DARING to take up the challenge to start a bumpy journey which I am glad I did and to discover the many secrets of baking along the way. 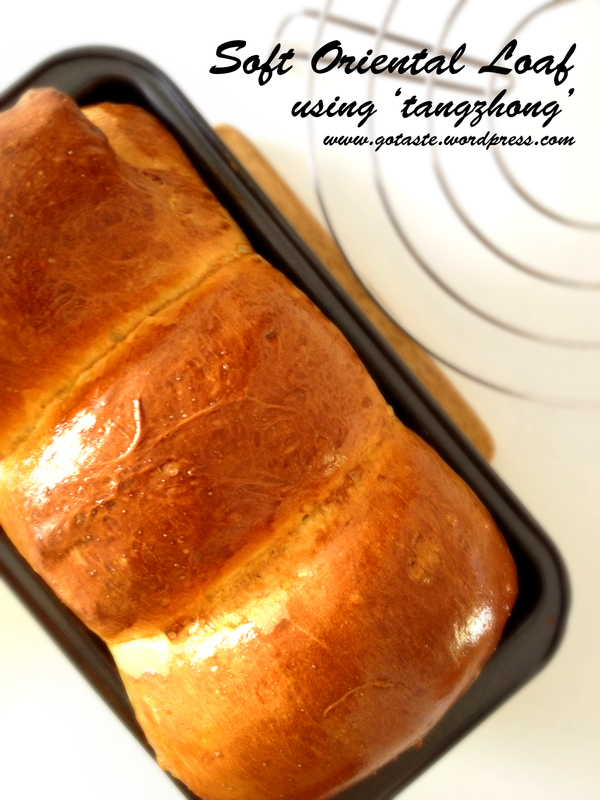 I got to admit I am quite obsessed with bread baking for now and I just can’t wait to log this recipe in that uses ‘tangzhong’ mentioned to me by Jean from bentodays. 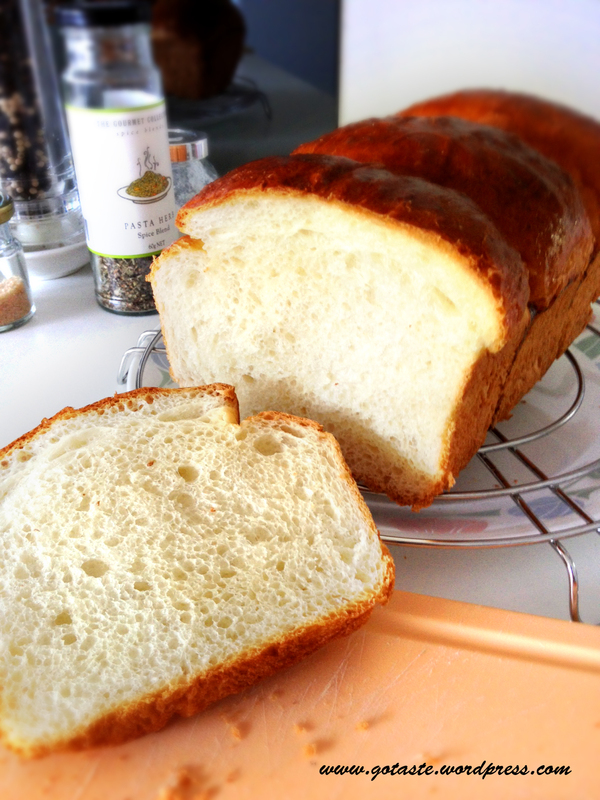 This method creates a super soft loaf with a long lost flavor which brings me all the way back to my childhood days. Yum! Cook on low heat and keep stirring continuously until it becomes sticky. Mix all ingredients except butter. Put in butter when rest of ingredients is well mixed. Knead the dough till it passes the window pane test. Form it into a ball and put it into a greased bowl. Sprinkle some water on dough and cover. Let it proof for 45mins to an hour. Pre-shape dough into three round loaves and let it sit for 15mins. 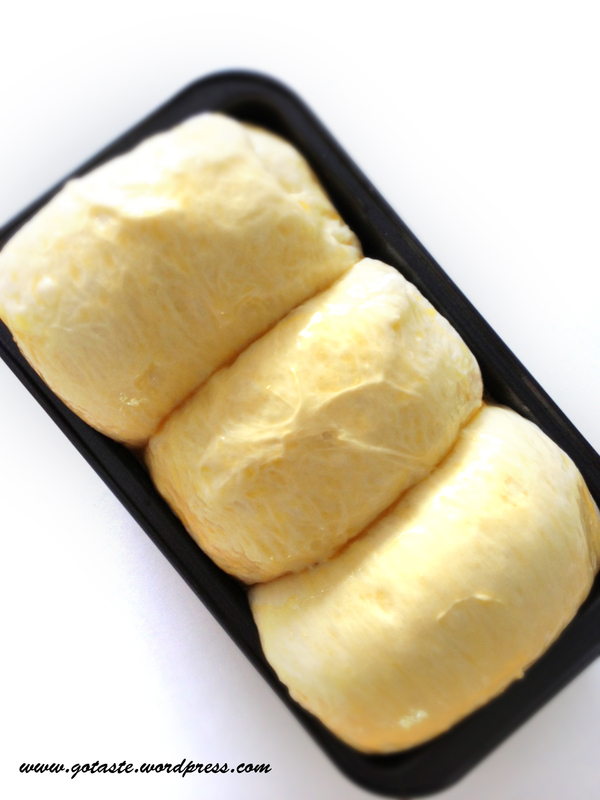 For the final shaping, roll the dough to resemble soft rolls and put them side by side in a loaf tin. Sprinkle some water on top and proof for 45mins to an hour. Brush with egg wash and bake at 170C in a pre-heated oven for 30mins. This is what happens when we do not have our own produce. 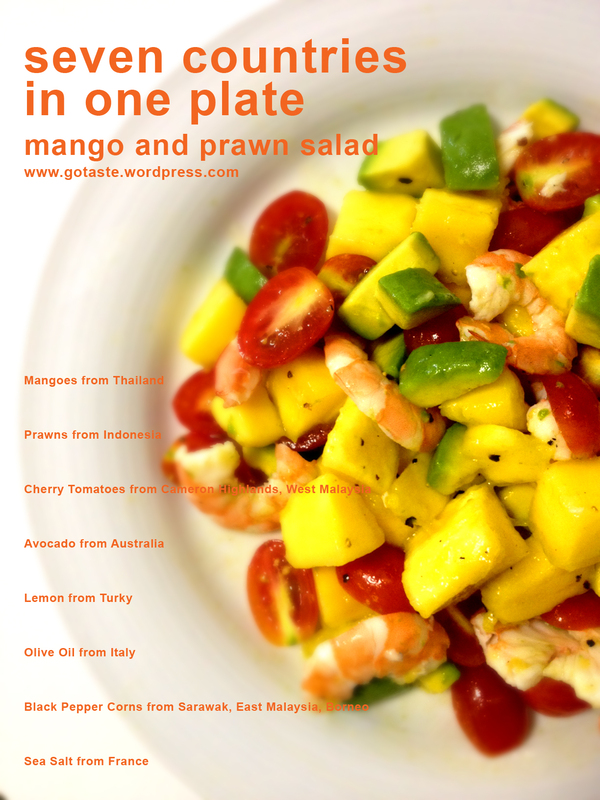 Thai mangoes are in season and I love it with prawns. There are many recipes to pair up these two beautiful ingredients but I picked the easy way out due to my busy schedule at work. Bring a pot of water to boil and squeeze in a wedge of lemon juice. Cook prawns with shell on. Transfer prawns into ice water. Remove shell and vein then slice into half. 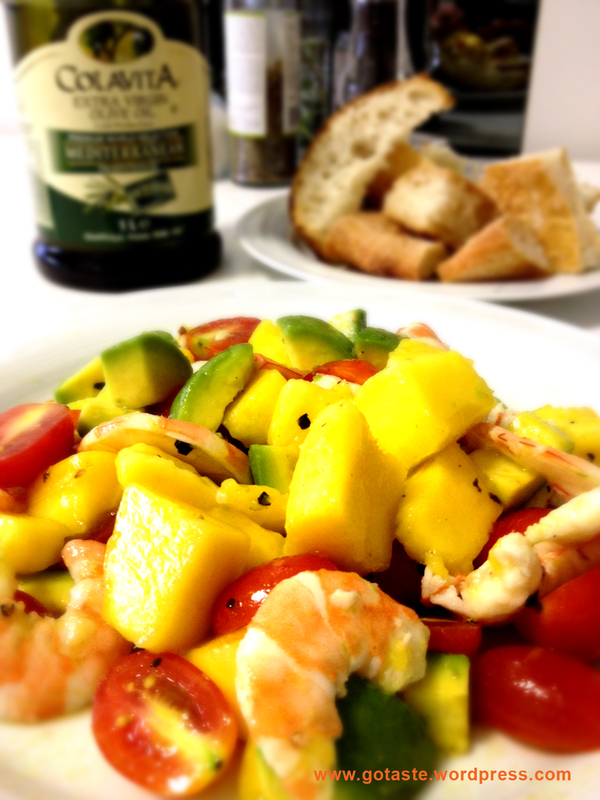 Cut mango, tomatoes and avocado into bite size. In a small bowl, mix olive oil, pepper, salt, lemon juice and herbs. Pour over the above and mix well. This recipe has been lingering in my head for a while. 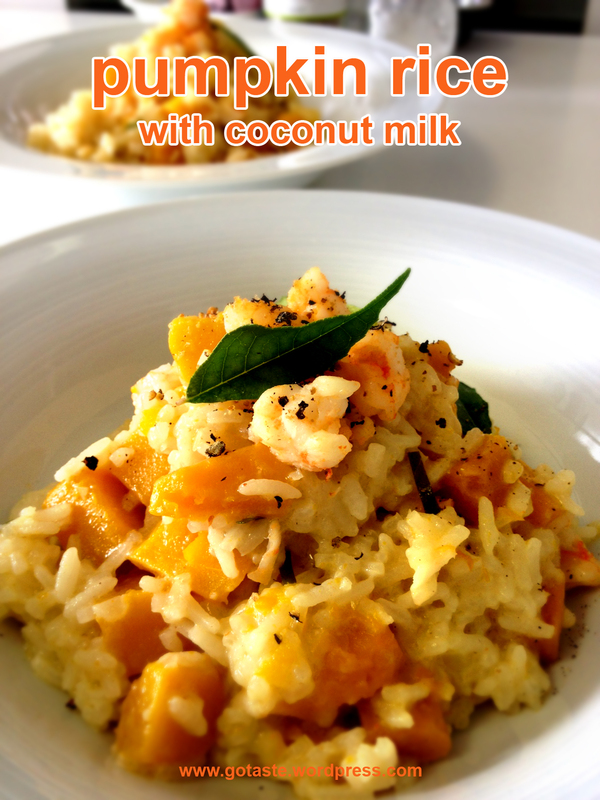 It is inspired from a popular local breakfast call “nasi lemak” in Malay language meaning creamy rice. “Nasi lemak” is cooked with coconut cream and pandan leaves (a plant that releases soothing mild fragrance) to go along with fried fish, anchovies, peanuts, thin omelet, cucumber and lots of tasty chili paste. Honestly, I was quite afraid that this creation may not work but the compliments I received from my guests made me smile. I would love to turn it into a risotto soon. Heat up a good amount of olive oil over high heat and cook prawns till tender. Remove and set aside for later use. Reduce to medium heat and using the same oil, sauté chopped onions till translucent then add in rice. 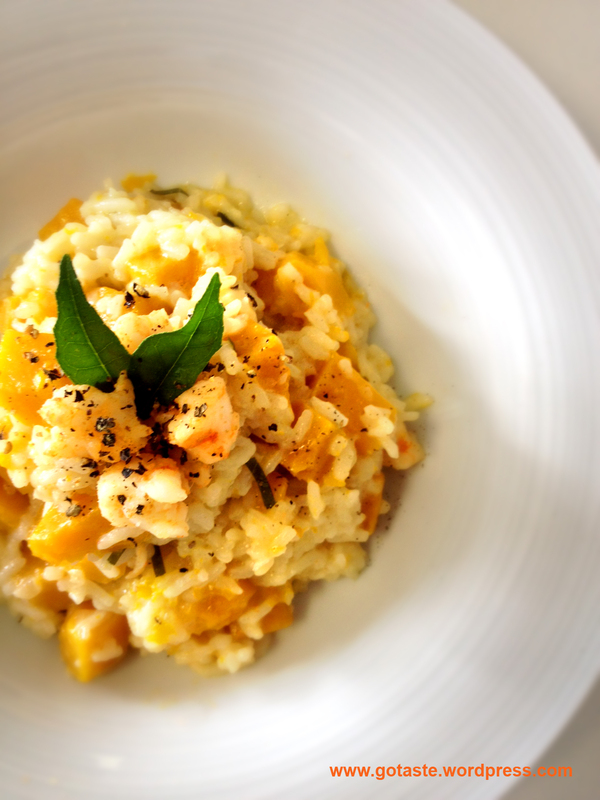 Coat rice with oil and season with salt and pepper follow by white wine just enough for the rice to soak it up. Add enough stock and coconut cream. Stir and cover for 5 minutes. 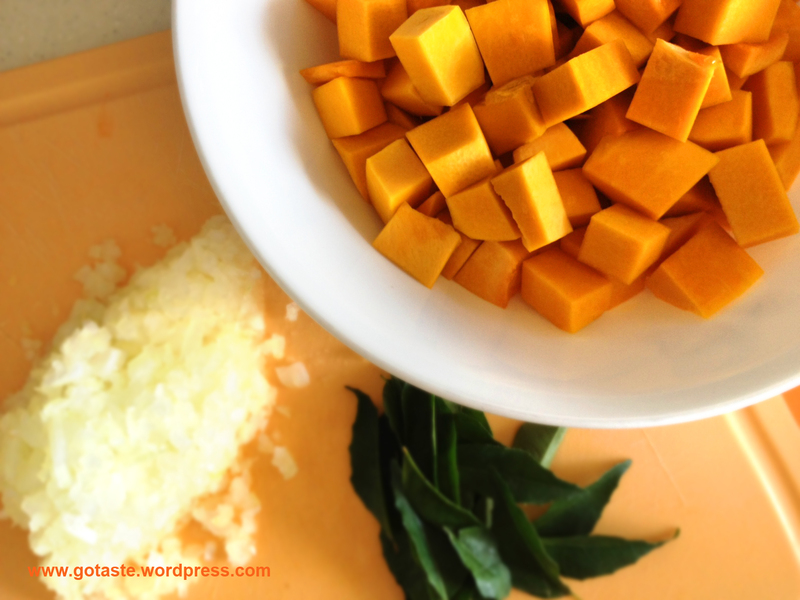 Add pumpkin and curry leaves. Stir and cover for another 15 minutes (most rice should be cooked by now. If not, continue cooking till it’s done). Add prawns, stir and serve immediately. I can’t wait to share this recipe that can be prepared within 5 minutes. I found it from an old recipe book by Carla Capalbo which was sitting on the shelf for some time. I got to admit that initially I was skeptical about the combination but surprisingly it turns out really good! Emulsify the oil with salt, pepper and lemon juice. Mix in all other ingredients. That’s it! I doubt you need 5 minutes. Toman fish is also called the giant snakehead or giant mudfish which is capable of growing to over 1 meter in length (3.3 feet) and a weight of over 20 kilograms (44 pounds). It is widely distributed in the freshwater of South East Asia. In Singapore, this fish is less costly as compared to others like snapper or grouper. It is widely used to make into fish porridge or fish soup to go with rice or vermicelli. I am always curious how it will taste like if I make it into a steak. 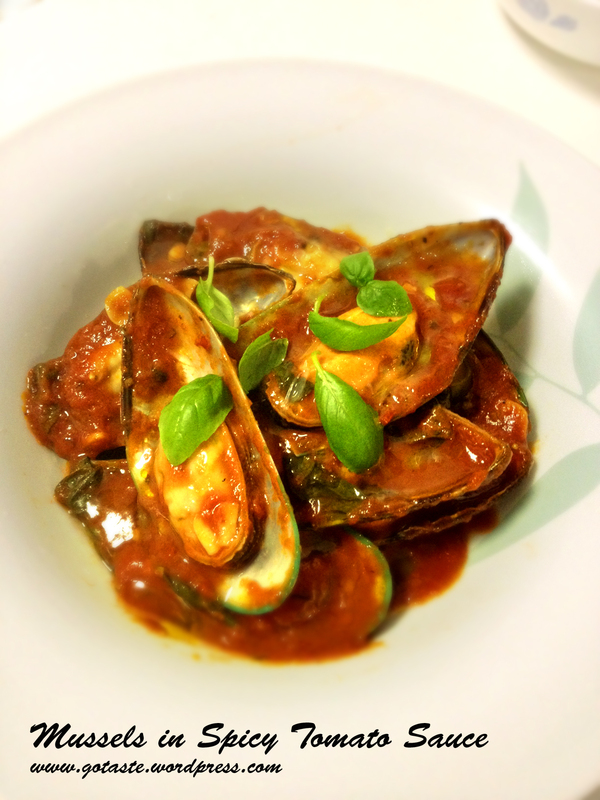 This fish taste rather plain on its own so I made a rich sauce to go with it. Shred carrots into long thin stripes and steam with some fresh rosemary. Heat up olive oil in a pan over medium high heat. Marinate fillet with salt and pepper then coat with dry flour and fry for 3 minutes on each side. Put fillet aside. Reduce to low heat and use the remaining oil to fry shallots with butter until shallots turn translucent. Add salt and pepper follow by a gulp of white wine to deglaze the pan. Add a teaspoon of lemon juice and zest follow by cooking cream. Add chopped basil and bring to the boil then turn off heat. Carrots should be done by now. Remove rosemary, add butter and mix well. Spoon lemon cream sauce over fillet, carrot and serve immediately.